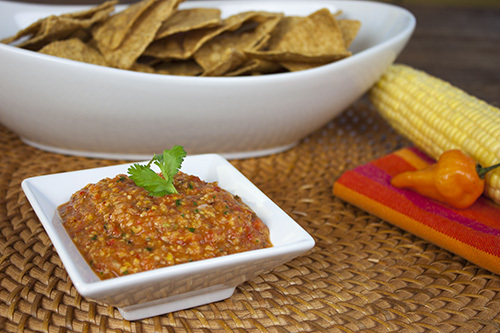 Roasted corn adds a depth of sweet flavor you won't get with any other ingredient, which makes for a very satisfying habanero salsa. Be sure to pan roast the corn to a golden yellow to achieve the most flavorful results, and don't skimp on the habanero peppers. Slice tomatoes in half and set them onto a lightly oiled baking sheet, skin sides up. 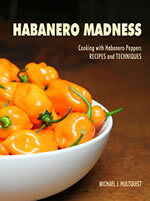 Remove stems from habanero and jalapeno peppers. Slice in half and set onto baking sheet, skin side up. 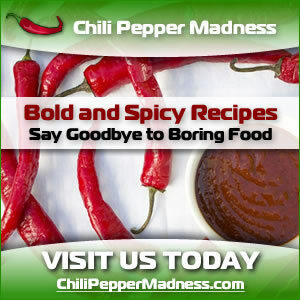 Remove stem and de-seed bell pepper. Slice into quarters and place on baking sheet. Add garlic to baking sheet. Bake 15-20 minutes or until pepper skins are nicely charred. 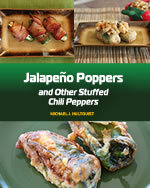 Peal skins from tomatoes, jalapenos and bell peppers, then transfer to a food processor along with habaneros and garlic. Heat a sauté pan to medium heat and add 1 tablespoon olive oil. Add corn and pan roast until golden about 8-10 minutes. To food processor add cilantro, lime juice and salt. Transfer to a bowl and cover. Refrigerate about 4 hours to allow flavors to mingle.